Carina & Gia Napoleon, shown at State's, represented Thomas Worthington's 4x800 squad. Caleb Brown, Savannah Roark and others got Ohio off to a great start at New Balance Nationals on Friday and the state's athletes who took over on day two kept the momentum going with several earning All-American honors (top 6 placements) and many others that were not far off that distinction. 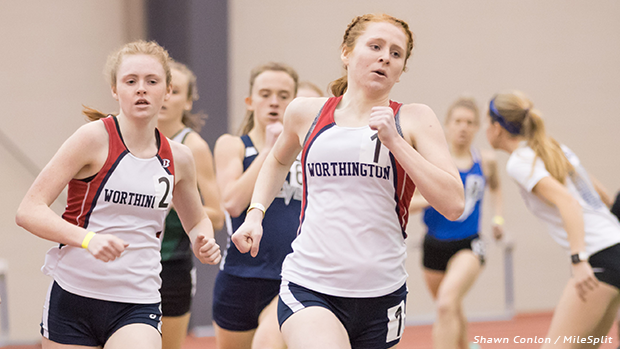 In 4x800 action, Thomas Worthington took third with their 9:09.21 clocking. Team Members: Carina Napoleon, Gia Napoleon, Tori Banks & Lydia Miller. Thomas Worthington wasn't the only Ohio-based relay team to enjoy success on day two - both Hilliard Davidson 4 x 1 Mile squads produced All-America worthy results. The girls finished second in 20:43.12 and the boys took sixth in a time of 17:34.64. Girls Team: Sophie Lewis, Lindsay Stull, Ellie Tighe & Sophia Hoersten. 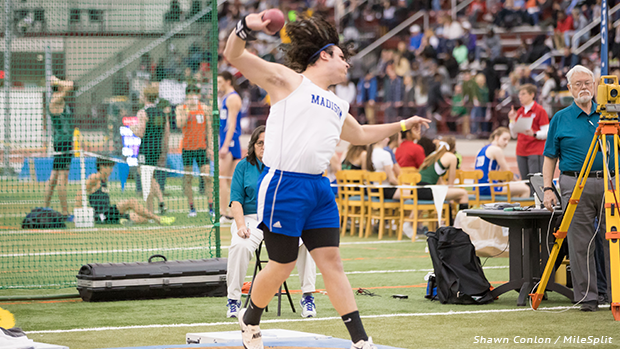 In field event action, Nolan Landis followed up his strong runner-up effort at D1 State's from the week before with a fourth place showing at The Armory. Landis secured his placement with a PR toss of 61-1.25. 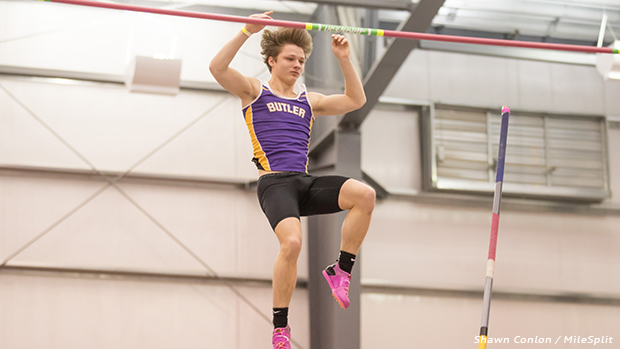 Division 1 State Champion, Dalton Shepler vaulted 16-5.75 for fourth place in the PV competition. He's ranked in a tie for eleventh nation-wide from his 16-6 effort at State's.